Mr. Tom L. Wood, Chief Technologist at Bell Helicopter Textron, Inc., has been awarded the prestigious 2016 Alexander A. Nikolsky Honorary Lectureship. The Lectureship is awarded to "an individual who has a highly distinguished career in vertical flight aircraft research and development and is skilled at communicating technical knowledge and experience." Wood was chosen in recognition of his half-century of contributions to advancing the state of the art of helicopter and tiltrotor technology. His presentation — the 36th Annual Nikolsky Honorary Lecture, entitled "50 Years of Industry Perspective" —delivered at the 72nd Annual AHS International Forum and Technology Display in West Palm Beach, Florida, on Tuesday, May 17, 2016. The lecture provided Mr. Wood's perspectives on past technical challenges and accomplishments by the rotorcraft industry, as well as what technologies will pave the way to realizing the next generation of rotorcraft. 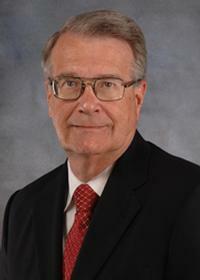 Wood began his career at Bell Helicopter in 1965 as a college intern, and joined AHS as a student member in 1967. He earned a BS in Aerospace Engineering from the University of Texas at Arlington in 1969, and an MS in Mechanical Engineering (also from UTA) in 1972. As Bell Helicopter's Chief Technologist, Mr. Wood advises the company's executive leadership team on technical issues and oversees the company's Senior Technical Fellow organization and Research & Innovation group; his efforts are closely linked to Bell's military and commercial product lines. Wood's past roles at the company span a great depth, from Chief of Aerodynamics & Handling Qualities to Director of Flight Technology, where he was responsible for all activity in the groups of aeromechanics, aerodynamics, loads, acoustics, simulation and handling qualities. Wood also served as Director of Preliminary Design, where he was involved in all aspects of defining rotary-wing air vehicle characteristics. In technical roles, he was a major contributor to the development of the simulation math model for the V-22 Osprey, flight-testing of V-22, and configuration definition of both the Quad TiltRotor (QTR) concept and what is now the AW609 civil tiltrotor. Wood was responsible for the aerodynamic testing and technical reporting behind Bell Helicopter's entry in the Army's Light Helicopter (LHX) program — where testing included a pressure sensor-instrumented rotor. His contributions to understanding tiltrotor hover performance are numerous, and evolved from his experience in download model tests of both conventional and quad tiltrotor configurations. These evaluations led to significant improvements in tiltrotor payload. During his career, Wood also managed or participated in the design and flight development of numerous Bell designs, including the Model 400, OH-58C, OH-58D and YAH-63, as well as the four-bladed AH-1W, proving its composite main rotor blade design. His expertise made him a key contributor to the civil certification of Bell Helicopter Models 427, 430, 407, 214ST, 412, 222B, 230, 206L-4 and 214B, as well as the military qualification of the V-22 Full-Scale Development (FSD) aircraft. Wood's seminal work in rotor aerodynamics is seen in numerous technical publications that include his award-winning study on the loss of tail rotor effectiveness (LTE). His assessment of autorotation, the demonstration of low-speed maneuverability in tiltrotors and a more complete understanding of vortex ring state (VRS) are all to his credit. Mr. Wood continues to be deeply involved in the test and certification effort of Bell Helicopter's newest development programs — including the V-280 Valor for the Joint Multi-Role (JMR) Technology Demonstration program, and the commercial 525 Relentless and 505 Jet Ranger X — guiding team members and training the next generation of subject matter experts. Due to his extensive external relationships, Wood is well known to leading figures across the aerospace and rotorcraft industry, NASA/DoD, and academia. Since 2012, he has served as an appointed member of the Aeronautics Committee of the NASA Advisory Council. Wood has been the recipient of AHS International's Howard Hughes Award (1984), Paul E. Haueter Award (2005), AHS Technical Fellow Award (2010), Dr. Alexander Klemin Award (2011) and AHS Honorary Fellow Award (2015). Earlier this year, AHS established a Vertical Flight Foundation scholarship in his name, the Tom Wood Honorary Scholarship, to encourage more engineering students to pursue careers in vertical flight.